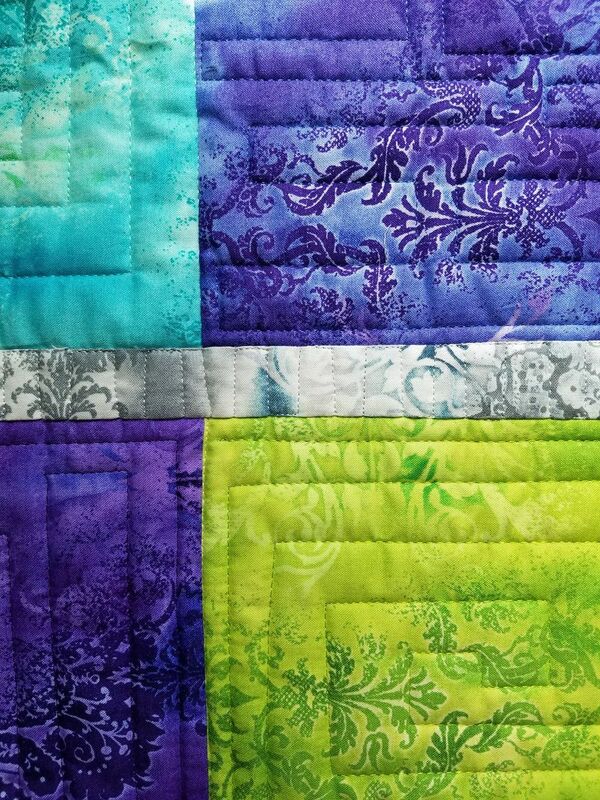 We all love a gorgeous quilt where the fabric does all the work! 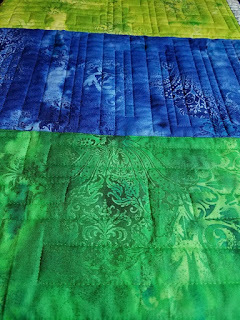 The Changing Lanes quilt, designed by Stephanie Sheridan of Stitched Together Studios, uses a cool palette of our Dreamscape collection in a simple yet stunning design. 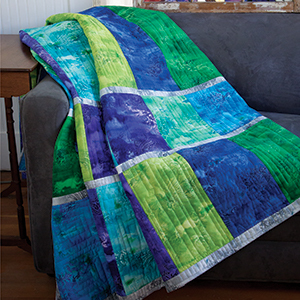 The Changing Lanes quilt is featured in the April/May 2017 issue of McCall's Quick Quilts. Read on to learn more about it. What attracted you the Dreamscape collection? I love the soft mottled quality of this line - all of the colors just flow and blend, and the actual fabric print is understated. How did you choose your palette from the wide variety of colors of the Dreamscape print? Given the choice, I always tend towards a palette of cool ocean colors - blues, greens, turquoise, aqua and my personal favorite - purple! I actually also colored this design in a rainbow and a warm color version with Dreamscapes and a neutral color version using Nature'sPearl, but the cool colors became my favorite. My inspiration for this design concept was a bar code - I was thinking of it as a modern monochromatic quilt. When the editors asked me to try it out in colors I couldn't believe how great it looked! 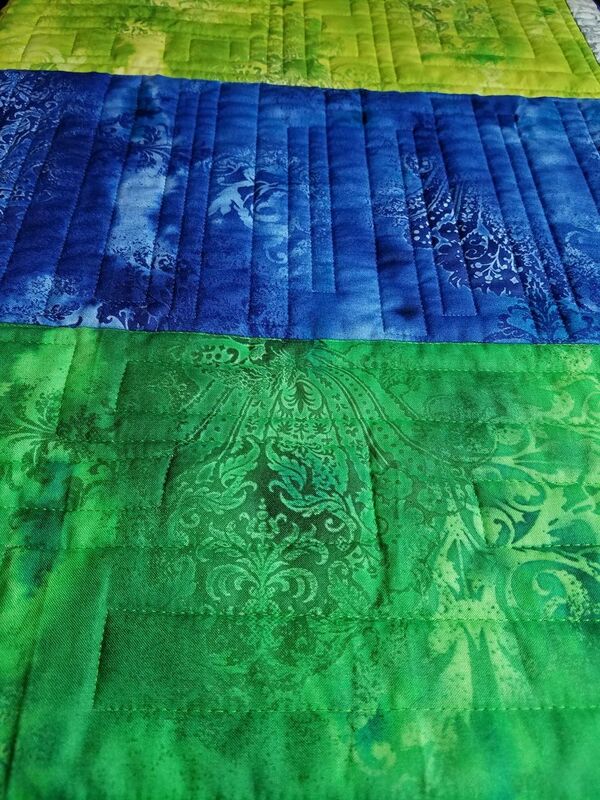 Why does the Dreamscape line work well in this quilt? First - it had the right amounts of lights and darks (you need 4 of each)! It also is a good blend-y line, so the colors are the star, rather than the actual fabric print. The flow of the fabric plays well with the straight lines of the design. 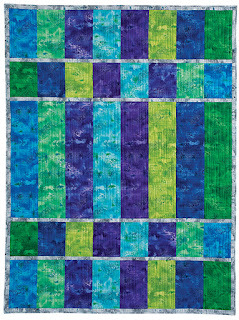 The way that the flow of the fabric design plays well with the straight lines of the quilt design. As always, Mom's quilting perfectly complements the quilt design. She used straight lines making open boxy shapes. p.s. 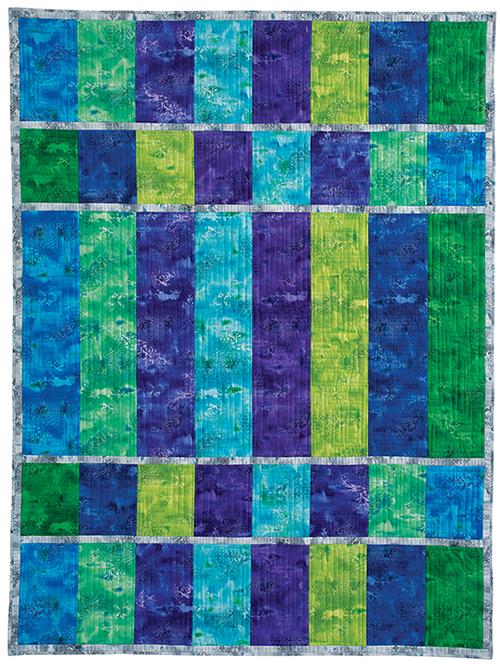 Lori Baker from McCall's shared a blog post about making the Changing Lanes quilt. 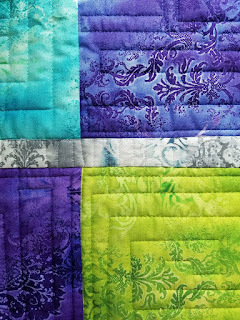 She added rows to make it queen size, and created a beautiful pieced back. Click here to read her post. 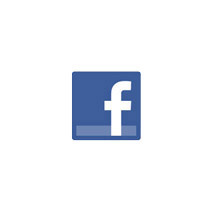 Click here to visit Stitched Together Studios' website. 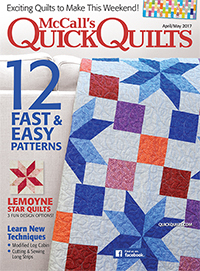 Click here to find McCall's Quick Quilts. Great Pattern for this collection! This may be the first barcode that made me happy. I love this fabric, just wish I could find it in quilt shops! I rarely choose cool colors, but this one is is my favorite of the color families shown, and really tempting me! Reminds me of summer, the beach, and picnics.